After some initial foibles, we're relatively impressed with the Optoma Be Free8. They offer a good sound, are easy to setup, connect easily to your phone and have an incredibly strong battery life. Wireless Bluetooth headphones have received a lot of attention lately. It's thanks in no small part to several smartphone manufacturers choosing to ditch the long-standing 3.5mm auxiliary jack in favour of either USB-C audio or the Lightning connection, both of which offer digital advantages. However, while wireless headphones are proving popular, completely wire-free headphones are still in their infancy. We have seen several pairs from major manufacturers, with Optoma being a new contender in this market with its NuForce Be Free8. How well do the Optoma Be Free8 fit? 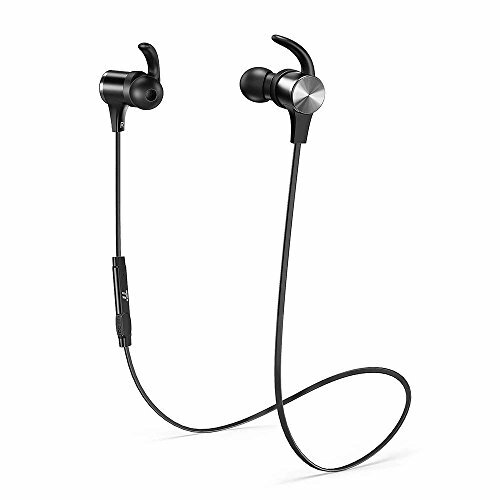 Being a wire-free pair of in-ear headphones, you're supplied with two separate earpieces that connect to each one another wirelessly. The Be Free8 earpieces are quite chunky, while the bit that goes into your ear canal is pretty tiny. The housings have been designed to fill your ear cavity and create a tight, isolated seal - and isolated they certainly are. They're lightweight, too, so they never feel like they're going to fall out, but we did find we couldn't wear them for long listening sessions as the piece going into our ear canal was a little irritating. How do you setup the Optoma Be Free8? Setting up the Be Free8s to play music out of both earpieces wasn't as easy as we expected, even with the instructions provided. After first removing them from the box the in-ears require charging via the supplied charging case, which we were able to do no problem. The case comes with enough battery life straight out of the box - so all you have to do is pop the earpieces into their respective slots, close the lid and let them power up. Once they're charged, a press-and-hold of the power button on the left earpiece turns it on, ready to connect your phone via Bluetooth. A press-and-hold of the button on the right earpiece is designed to sync up with the left earpiece. However, it took us three or four attempts to get this connection to work. You do get some audible feedback from the left earpiece when the pairing is complete, so at least you'll know it's been successful. It's worth noting that the left earpiece is the master, and it relies on near-field magnetic induction to connect to its right earpiece slave. We noticed when we took the left earpiece out and moved it mere centimetres from our head, the right one cut out. It's not a huge problem, but don't go trying to share your music with your mates. How do the Optoma Be Free8 sound? Make sure you experiment with the five pairs of supplied ear tips to give you the most secure fit. We didn't experience much bass at all with the pre-attached pair, but after trying out all the included pairs, we settled on the largest for our ears. With them attached, the sound was improved massively. With a more secure and tight fit, we've been treated to a pleasant sound. Listening to some house music has shown the BeFree 8 can certainly deliver audio with plenty of energy. There's a great amount of detail on offer, too, so we soon find ourselves dancing around our room. Switch to something a bit more relaxed, however, and the Optoma lose that sense of enthusiasm. The detail is still there, but we find the overall delivery a bit lacklustre for our liking, especially when we know the equal-priced Sony WF-1000X deliver a better sound. But since the Be Free8 are waterproof and totally wireless, they're right at home in the gym and will easily keep you moving during the toughest of workouts. For some that'll be these in-ears' biggest benefit. After some initial connectivity foibles, we've come to be relatively impressed with the Optoma Be Free8. They offer a good sound and keep a consistently good wireless connection during playback - so long as you leave them firmly wedged in your ears. The fact the included case can recharge the earphones three times over gives them one of the longest battery lives of any current wire-free headphones, which if you use them constantly for exercise will mean you won't be reaching for the charging cable every night. And the waterproofing means exercise is high up the list. However, we don't think the Optomo do enough to worry the Sony WF-1000X. And considering both products have the same £200 asking price, it does make them harder to recommend. Sony's WF-1000X not only look better in our opinion, but they sound a lot better too. They throw top-quality noise-cancelation into the mix as well and all for the same £200 asking price as the Optoma Be Free8. We think they're the very best pair of wire-free earphones available right now.